Become an Information Management Superhero! We’re an IT solution provider based in Ghent, employing around 30 people. Our team helps companies get a grip on their business information (using a.o. products such as DocShifter, Documentum, D2, xCP, Captiva or InfoArchive). Our main focuses are Enterprise Customers in Information Centric Verticals such as banking, insurance, payroll, public sector and healthcare. We’re always looking for both starter and experienced profiles. Whether you’re an IT expert who can be relied on for the in-house development of software products in Java, or someone with IT skills who prefers to advise our solutions to our clients, you’re at the right address with us. Docbyte started the “Docbyte Strong Employees” program with the objective to structure the HR policy so that we are committed to continuing growth of the organization with a sustainable team in which everyone poses their own opportunities and challenges and is able to realize them at their own pace. The optimal use of the competences of our employees is of great importance to keep them committed and to keep their knowledge up-to-date, while keeping a good work-life balance. With the sustainable career policy, we want to keep the motivation and employability of our employees high, by creating a workable job environment with growth opportunities. 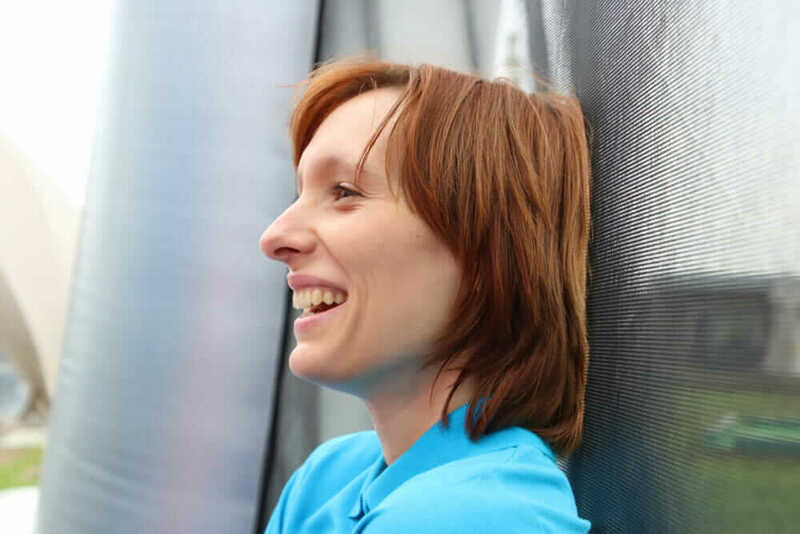 To realize these ambitions, Docbyte received support from the European Social Fund (ESF). You’re ambitious for growth and you’d like to expand your skill-set? Our people culture will let you do just that. Surround yourself with a diverse team of experienced seniors and entry-level colleagues who are happy to share their knowledge with you during an internal lunch and learn training. 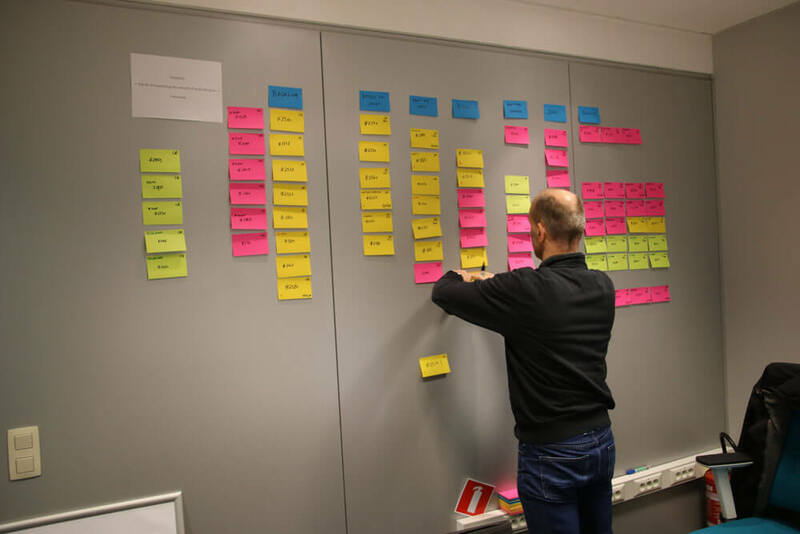 Our team has its own Scrum Master, for example, who teaches us to use Scrum as a way of getting a clear picture of projects, and tackling them qualitatively from beginning to end. You’d rather take an external course? No problem! We give you the freedom to improve your knowledge with any online courses or interactive workshops that may be necessary. We’re all about giving you space in your job. We offer flexible working hours and you also get the chance to work from home now and then. Since we operate a 39-hour working week, you get to enjoy at least 26 days of leave a year. On top of that, you get seniority leave, and part-time hours are also negotiable. Are you a foodie too? Then you’re probably going to fit right in with our team. 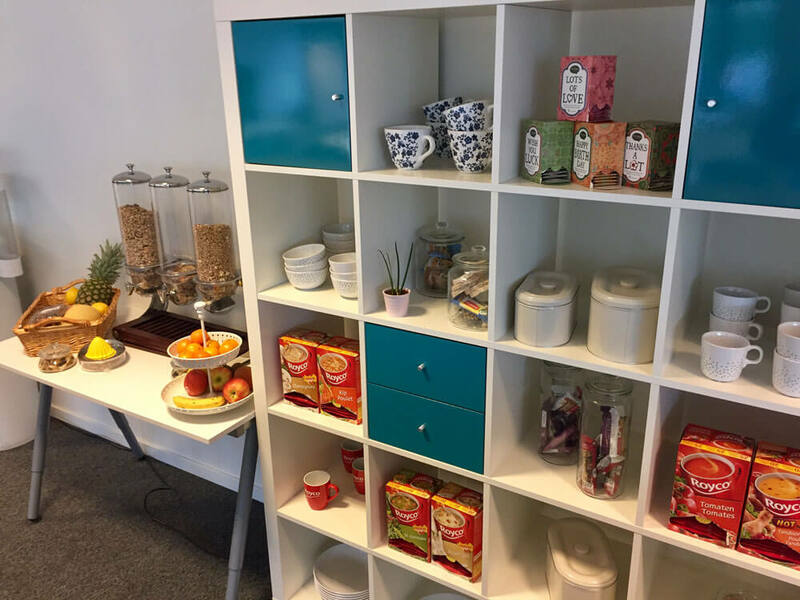 Not only do your colleagues organise a Tasty Thursday, we also offer the following goodies for your enjoyment: Start every day from now on with a healthy breakfast at the breakfast bar; there’s yoghurt, fruit and a selection of breakfast cereals such as muesli and granola. Need a cup of good coffee now and then? This is the right place for you! You can even grind the coffee beans yourself. We have two kitchens equipped with all that you need to keep your lunch cool or heat it up. Feel like a snack? We have a fruit basket, and healthy snacks like granola bars and bowls of soup. We enjoy a Thai lunch together every Friday (you really must try No. 28). You’ll find a commercial centre a stone’s throw from the office and it is easy to reach using one of our electric bikes. Our leisure area has a bar that is fully stocked for any informal after-work drinks, or birthday or Christmas celebrations. When the weather is nice, we enjoy lunch with an extra portion of Vitamin D outside at the picnic table. And of course, colleagues sometimes treat you to gingerbread, éclairs or home-baked goods. Working for a software company definitely doesn’t have to be boring. Our workplace offers ample opportunity for relaxation, and you can stretch your legs at one of our stand-up desks or use the deskbike. Need a break? Challenge your colleague to a game of kicker or take a sporting break on the water rower. You can freshen up afterwards in the showers. Anyone looking to clear their head completely, can retreat to the siesta room or the lounge corner with a comic book. For anyone wanting to take a break from reality altogether there is our Virtual Reality headset. 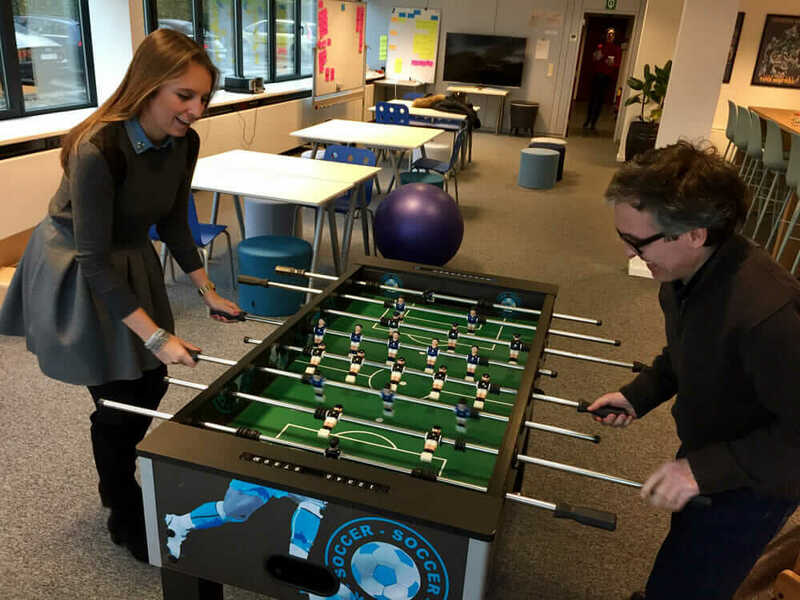 We like to add a few out-of-the-box activities to the yearly calendar, to strengthen team spirit. For those who like action our activities include: an air cushion trail, escape game, sport shooting, curling or a city game …. you name it, we do it. We also organise some chill events like cocktail and cookery workshops, boat trips, dinner sout, a visit to the Zesdaagse (6-day bike race in Ghent) and even a viewing of the latest Star Wars film. Docbyte is also known for its organisation of the annual Superhero day, when all members of the team dress up as their favourite superheroes. We spend the day combining our super powers, as it were, to come up with solutions for the paper mountain. Do you have a great idea for a team event? Or would you like to be part of this team of superheroes? 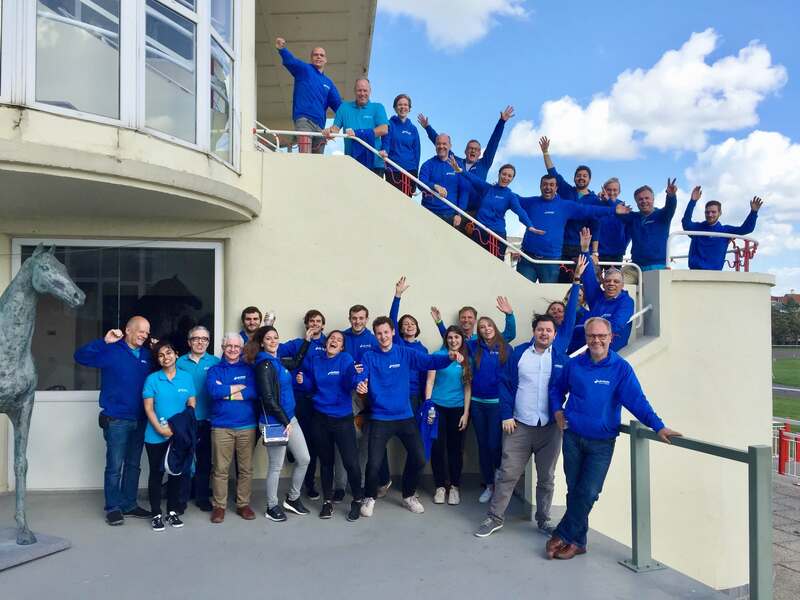 We are looking for a Inside Sales Professional to re-enforce our sales team and join us in our digital (R)evolution. .
You love software & you love helping people out. As customer success engineer, your priority is to give assistance to our customers. As a capture consultant you perform requirements analysis, software design and implementation as well as other project related and pre-sales activities. As a passionate software engineer you design, develop and improve our enterprise software solutions in Java. You are someone with the right mindset and skills to work on several exciting solutions and projects with Documentum. We are looking for a Project Manager to manage projects and lead teams that help organizations go paperless. We are looking for a consultant for the implementation of Information Management, software design, development, testing, and more. We are looking for a Product Manager with a bright mind and a passion for innovation to help us grow internationally. PositionWhat role are you applying for? Messagemore to say? We'd love to hear from you. Please provide us with your name, email and phone number so we are able to contact you about your application. Information you submit will be preserved for further contact but you can withdraw at any time.